Don't be racist. 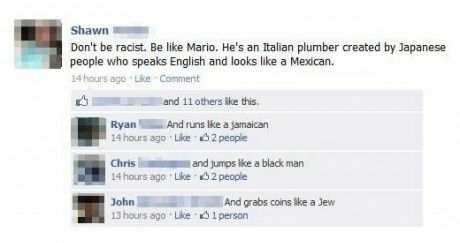 Be like Mario. He's an Italian plumber created by Japanese people who speaks English and looks like a Mexican.